I love the Game of Thrones. 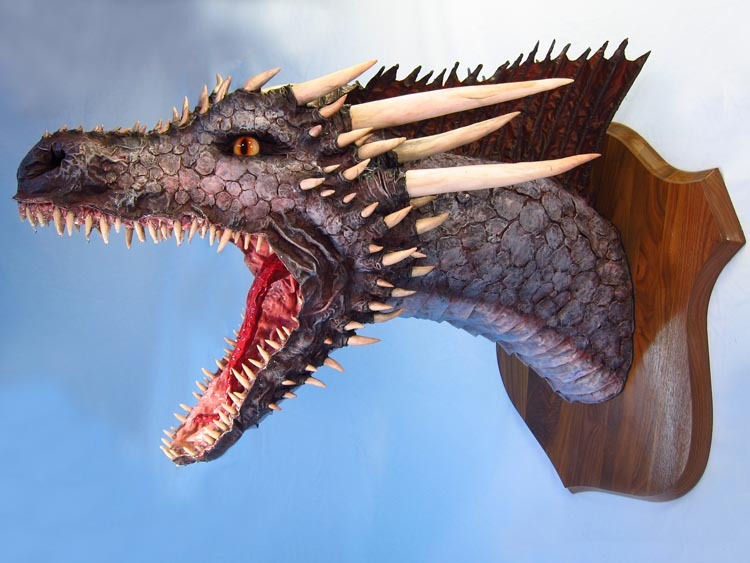 I decided to make a few paper mache Drogons, parallel to their appearance on the TV series. Here is the first. 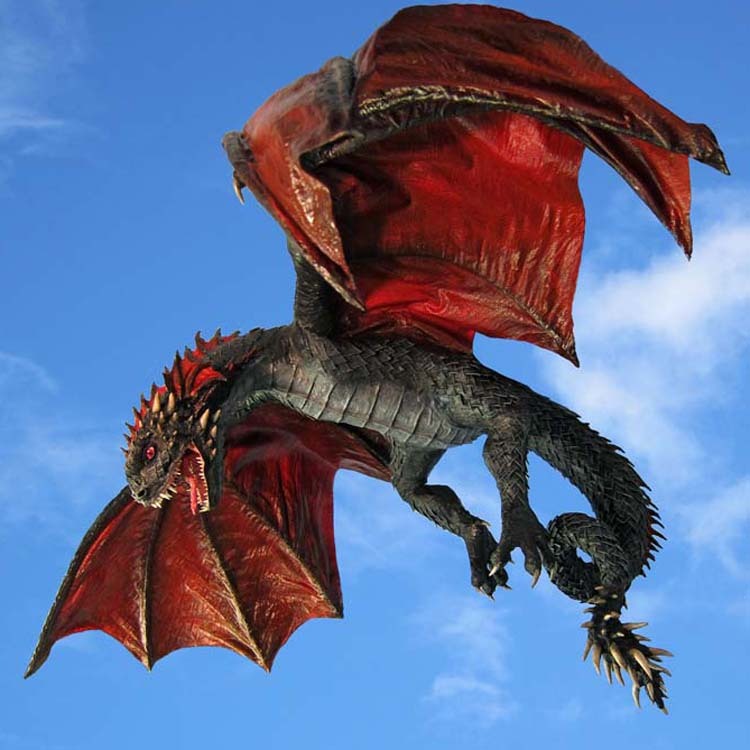 In George RR Martin’s books, Drogon is the most fierce of the three dragons. He is black with red markings. Viserion was born next. In the books he was supposed to be a creamy white color with gold markings. Here he is just breaking out of his egg. That leaves the third dragon, Rhaegal. He was born last, as you can see. He is a green dragon with bronze markings. 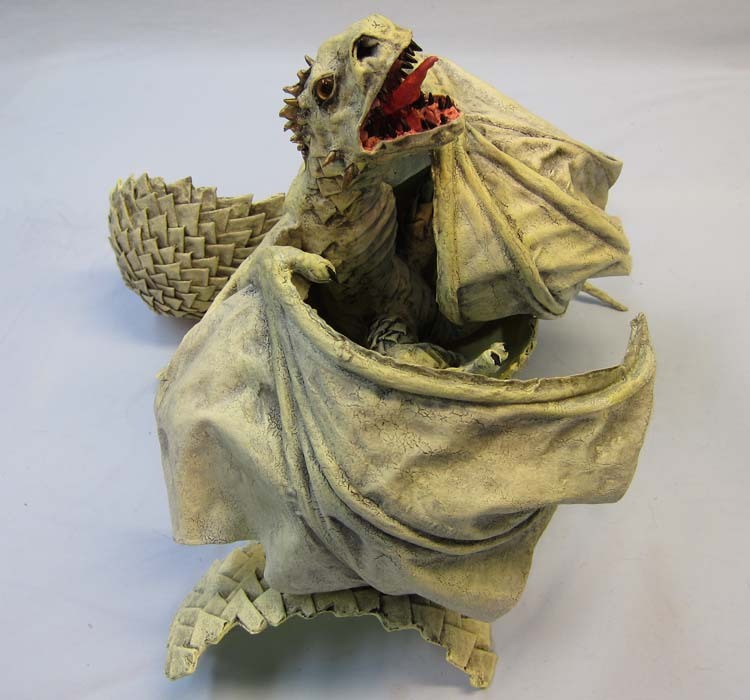 Now I know that in the books, and in the TV series, the three little dragons were born in the fire of the funeral pyre of Daenary’s husband, Dothraki Khal Drogo (I’ll be he was teased as a kid!). Dani (as I like to call her) went into the fire with her three eggs. In the book, when the smoke cleared, Rhaegal and Viserion were feeding on Dani’s breasts, and Drogon was on her shoulder. Perhaps you can see why I took the artistic liberties I did in these renditions. Once again, I have blog entries of these being made if you are interested. You can find it here. And, I have a time-lapse video as well. Just click on the Rhaegal’s egg above. Now Drogon did get older. Here he is as a juvenile. 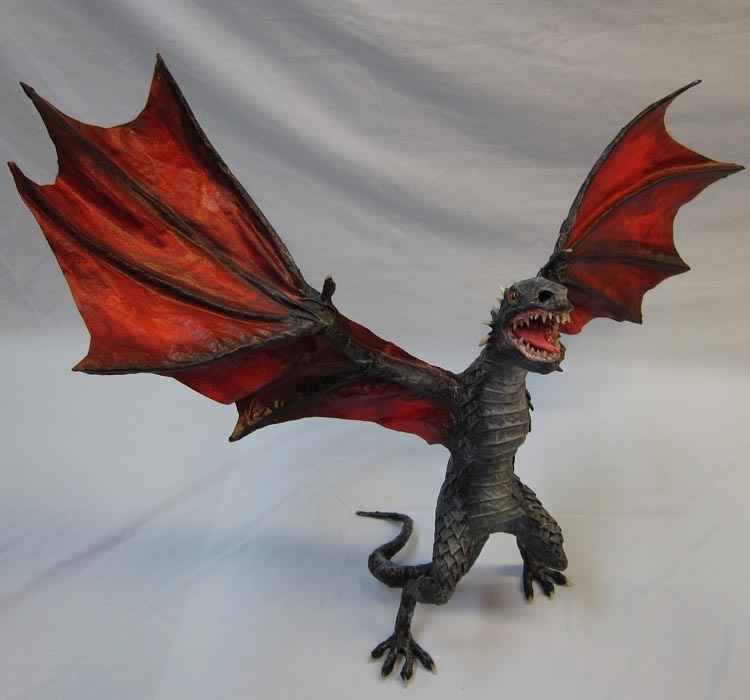 And as a young adult (I had to make a trophy since the full dragon would have been way too big!). I have time-lapse videos of juvenile and young adult Drogons. Just go to my Youtube channel https://www.youtube.com/c/GourmetPaperMache to watch them. And subscribe if you haven’t.